Who says electrical components such as sockets and switches can’t be chic and stylish? 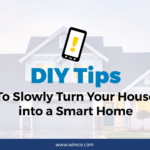 In this article, get to know some tips on how to beautify your home electrical system while still maintaining its efficiency and safety. Most people fail to notice how light switches and power sockets look, since they’re merely tools to activate electricity into fixtures and appliances connected to them. However, it won’t hurt to try making them attractive or in tune with your home design. Are you aware that light switches don’t just come in plastic? Some switches and electrical sockets are made of glass, aluminum, steel, brass, and marble. Aside from their function, these electrical components may be built from a unique material that already brings a welcome aesthetic. Apart from rocket switches that come with only two settings (on and off), you may opt for dimmers. This kind of switch customizes the amount of light that the lamp emits, based on the setting of the rotating knob. Another ingenious and modern way to upgrade lighting fixtures is through the use of motion sensors. In some facilities, the light will automatically turn on when the sensors detect movement. This is perfect for convenience (wherein you don’t want to touch a switch anymore) or security (in which an outdoor spotlight may be activated when someone sneaks into your compound). In addition, due to the rise in popularity of mobile devices, why not install a USB charging port inside your home? Wall-mounted USB ports are extremely helpful, especially when you can’t find the charger adapter. You may also choose to add some patterns and colors onto your existing sockets and switches. Some electrical stores sell patterned casings for light switches. You may also make your own pattern by painting near the electrical socket. Some manufacturers have already produced panels that combine switches and sockets. If you find this kind of orientation useful, visit your local store and ask about this kind of product. As with any action or process, function is always more important than form. While fashioning your electrical switches to make them look good, don’t miss out on checking for safety. Make sure that the electrical fashion pieces have been approved for electrical safety. 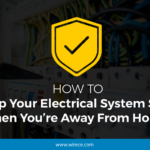 If you need help in assessing the safety of your home electrical system, give us a call at Wire Craft Electric. Our skilled electrical professionals will evaluate your home and give you expert advice on what to do. Why is Water and Electricity a Dangerous Combination?